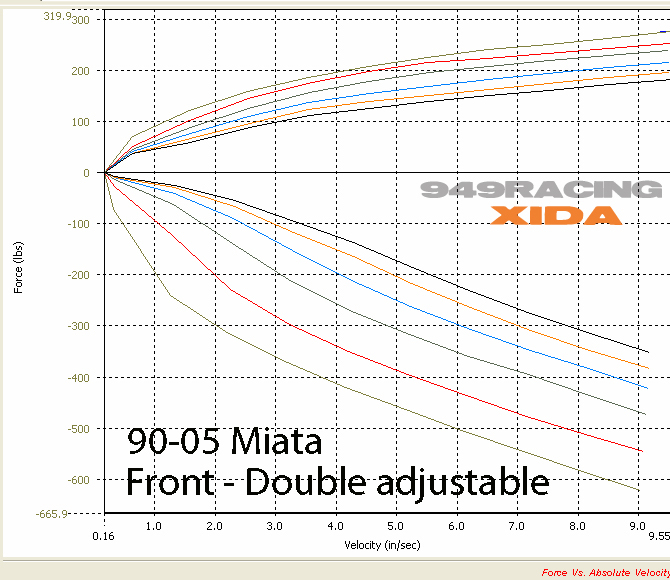 XIDA double adjustable coilovers - Miata Turbo Forum - Boost cars, acquire cats. 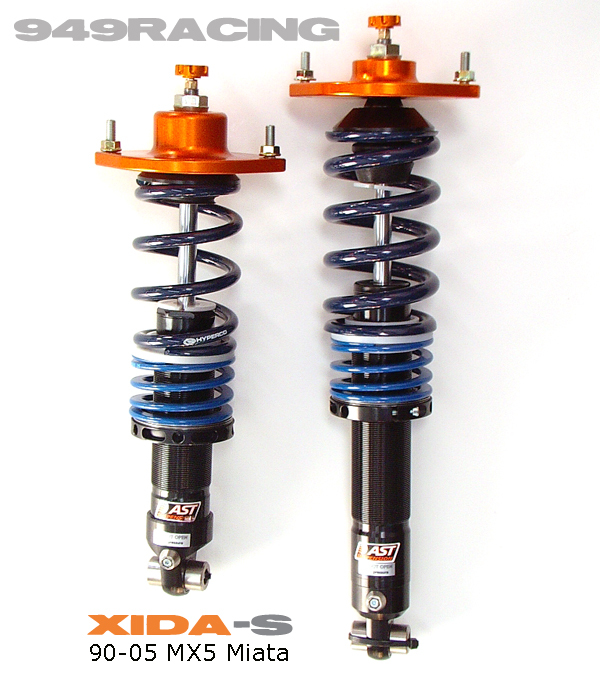 The XIDA coilovers have been about a year and half in development. We'll anticipate releasing them mid March. This is a purpose built, no compromise competition damper system. i just got a remote reservoir in my pants. In for $4k remote cans zip tied to random ****. I wish i could buy these. Not pictured. Those are the prototypes in the pic. The production units have a smaller, cleaner rebound adjuster, extended rear upper mounts, torrington bearings (standard), 150# helper spring & HDPE coupler (optional). You can also request a no rate tender spring but I think they're a waste. We went through a very long process to get both the long stroke and enough bump travel to just about bottom the control arm. You don't use that droop travel very often but when you do, it's magic. Either a slow off camber hairpin with a torsen or whacking a 7" tall apex kerb at 100mph on the track. If you order them without the helpers, the main spring is a tad longer. We tested with a shorter single spring set up that would come off the perch at full droop and they still worked very well. 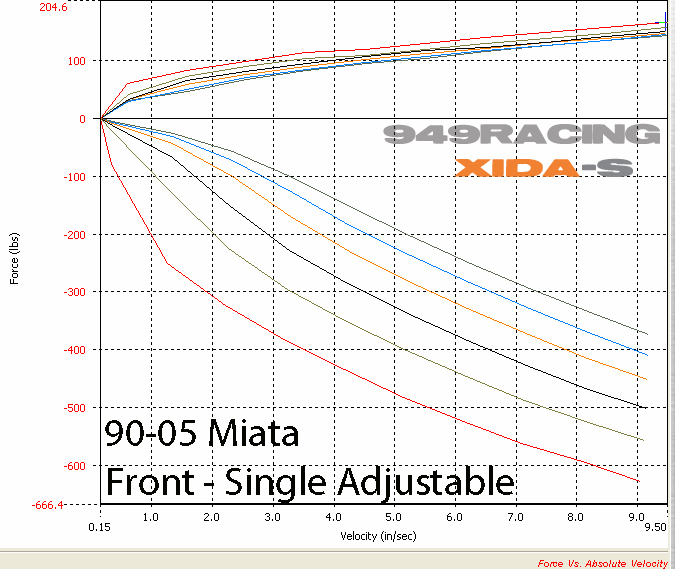 The only reason to do that though is to save a tiny bit of spring weight where you have a proper clutch type race diff. Also, we designed all the hardware to be able to use either 2.25" or 60mm springs. The 60's tend to cost a bit less and it also opens up the available selection a bit more. Hypercos are standard. The helpers and couplers are custom made just for the Xida (short and light). The singles are closer to $2700 and lighter as a bonus. Biased to keep the nose down and tail up to help aero stability, eh? and what is different between the two versions? Dyno plots are a necessary evil (sigh). Everybody wants to see them, few know what they're looking at, understanding one is far more than can be explained in a forum post or two. In short, they're adjustable and valved for their intended uses. 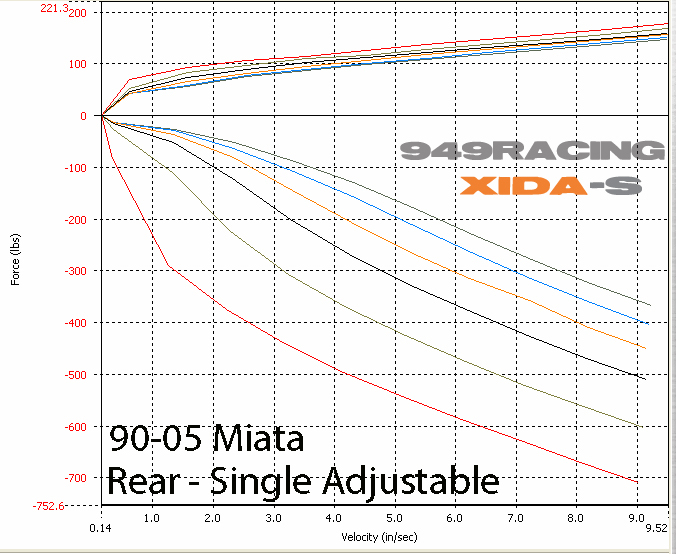 FWIW, all but one of the Xida kits sold have gone to someone that has test driven them on street, track or autocross. Running the ring, you would definitely want the optional double spring set up. 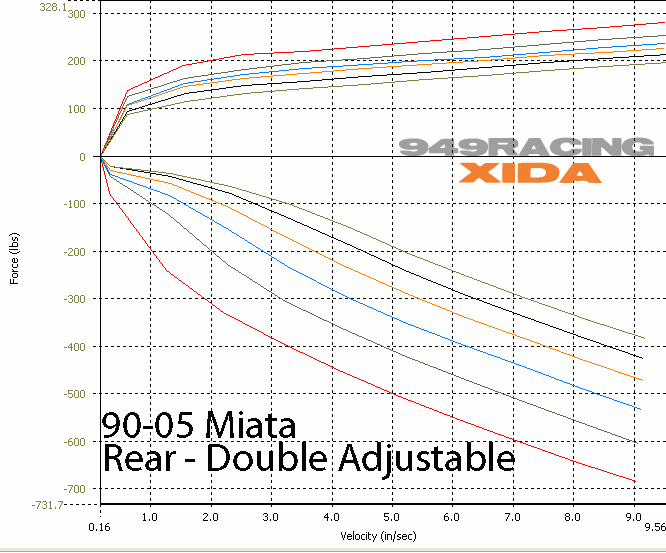 You would be fine with the singles but the doubles would give you some extra adjustability for dealing with the compressions and mid turn bumps in the high speed heavily cambered sections. Also nice to be able to fiddle with compression for wet weather. If you just wanted to valve for Spa and the 'Ring, we could raise the knee point of the compression a bit on the singles to suit. The drawback to that is the ride at lower speeds on rough public roads would suffer noticeably. Only at speed would it smooth out and start floating over the rough stuff. The doubles allow you to quickly and more finely adapt to a broader range of conditions.